Oops, they did it again. New Jersey lawmakers have decided to make law abiding citizens class 4 felons if they own gun magazines that hold more than 10 rounds. 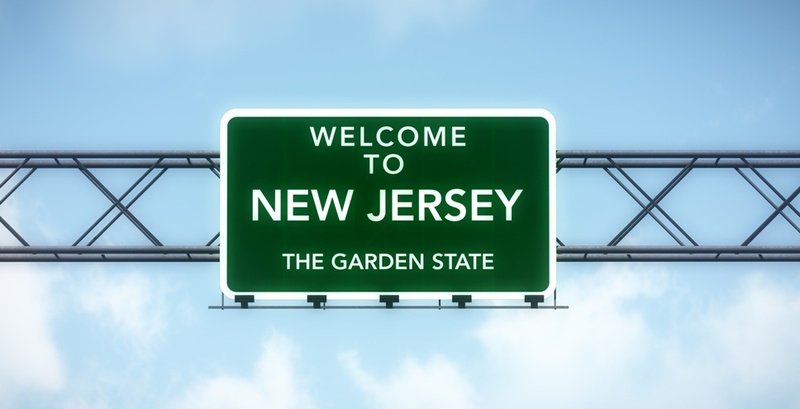 Previous laws in the Garden State made it so that 15 round mags were the most you could have, and while that was even pushing it, this new law pushes the envelope even further. To make matters even worse, anyone who was a law-abiding New Jersey gun owner just three short days ago (as of this writing), is now a felon for simply owning a piece of metal or plastic that, by itself, is capable of no harm. If you're found to be guilty of being in possession of a “high capacity” magazine, you could face up to 18 months in prison and a fine of $10,000 per magazine. And please note that you will be a convicted felon if you are found guilty. I can all but guarantee that they are itching to make an example out of some poor sap still clinging to what he believes are his 2A rights, even though the Second Amendment hasn't held any weight in the Garden State for several years. This does have ramifications nationwide, even if you don't live in NJ. Why? Because under the provisions of 926a, you should comply with state laws even if you're just passing through the state to get to your destination. If not, you could get jammed up and finding yourself in a legal battle in a very anti-gun state you don't even call home. When I lived in PA, I would often travel south forcing me to pass through another very anti-gun state, Maryland. My lawyer, Mike Giaramita, suggested that I follow the laws of the states I was passing through and handed me a letter of intent stating that I was just passing through … just in case. The problem, is that half of the police in these anti-gun states have never heard of 926a, and the other half don't care because they're already violating the Second Amendment. Here's the real kicker to this entire debacle: This won't fix anything. New Jersey's crime rate won't go down because they further limited magazine capacity. This new law isn't some rainbow pooping unicorn. Because, guess what? People who are going to break the law to hurt people don't care about said laws. No matter what, they're not going to turn their magazines in, only the guys who don't want to go to prison and are decent, contributing members of society are going to turn them in. Thus, the slippery slope we've spoken about so many times has gotten slipperier. What can we do? Well, if you're in New Jersey, you're kinda up that creek you hear so much about. Sure, you could move, but each pro 2A person who leaves the state just worsens the overall outlook for everyone else (though, that's what I did). The lawmakers you put into office were put there by your state's voters. All you can do is change the minds of those around you. The rest of us need to make sure this sort of thing doesn't happen in the states in which we live, and try to get a gun case in front of the Supreme Court for them to hopefully rule positively on to enforce the Law of the Land. Oh, and if you ARE ever traveling you have a couple options to know the laws. First, I suggest you download our very own Concealed Carry App (Android) (Apple). We do our best to update the laws in all 50 states. You can also buy the latest version of the Traveler's Guide (currently on sale as of this writing) which gives a broad overview of the laws in the states. Finally, we have USCCA membership which helps teach you things, and covers you should you ever need your firearm in self-defense.